By the time you read this write-up, Twisted Rooms will already have closed. Only temporarily, though. As the industry evolves, and given their close ties to the nearby Hamburg Dungeon, they took the decision to follow a different path and create more experiential escape rooms. As part of that, they’ve torn down their existing games and are building a whole new set in a nearby facility with significantly more capacity. It was interesting chatting to Heiko, one of the people behind the company, as he explained that the separate streams of people arriving from the Dungeons weren’t used to such active entertainment – they needed to be told to jump into the puzzles. If escape rooms are appeal to the wider audience, they’ll need to adjust accordingly I guess. There’s little point in telling you about the venue or really the games, so I’ll just leave a few details for the record. I’m keen to see what they produce with their new venue. I suspect it will be heavier on the narrative, theatre and action and lighter on puzzles. I’m fine with that – it’s not what I’d want from every escape room I play, but it’s a strand of the genre that I still enjoy. This was the oldest of the Twisted Rooms games and, as it happens, the one I enjoyed the most. The décor was nothing special – an 80s flat with furnishing to match. The centrepiece of the game was a computer, which may not sound very exciting but genuinely added to the experience. They’d put a lot of love into making an impressive interaction, and I’d imagine it was a real talking point when the room was first created. For me, the thing that particularly stood out was that they’d managed that rare feat of making something that was dated in our world but looked quite advanced in the game world. The puzzles were the strongest we came across in the three rooms – reasonably varied and all logical, with a couple of highlights. My favourite was probably the finale, which had us splitting the group in half to solve different parts of the challenge in parallel and chaining together several pieces of information in a way that we felt confident we were doing the right thing at each step. It ended up being a fairly basic solution, but the overall effect worked well for me. Asylum was, to be honest, a disappointment. I’m not a fan of horror rooms generally, but they’d created a beautifully eerie space that carried the menace that I felt was necessary in a game with this theme. It was most definitely not somewhere that you would enjoy wandering around, and I was grateful when we completed our first task of finding a light source. We didn’t even play with the scary version of the game because one of our party was nervous, but that version would have really upped the shock level. That attention to theming was somewhat spoiled by one of the main puzzles having pieces of laminated card hidden around the room that carried clues in an immersion-breaking way. Plenty of games have done something similar, but this game was so consistently run down in its appearance that the laminate cards stood out like a sore thumb. As I said above, I’m not a fan of horror rooms, but this one really went to town with some frankly unpleasant imagery. I can cope pretty well with frights and some fake gore round the room but, for me, pictures that look real cross the line. Perhaps when you’re handling crowds who’ve already been to a horror attraction, the bar is set a bit differently. The end of the room was an impressively created finale that, while making no real sense in the game, was clearly a crowd-pleaser. It’s one of those moments that enthusiasts raise an eyebrow at because they don’t fit the experience but at the same time secretly love seeing because they’re fun to take part in. For me, it was tarnished by a penalty system that left me uncertain as to why I cared about making mistakes. While Conspiracy was my favourite of the three games, this was the most interesting for me because it almost physically represented the transition that they’ve undertaken in their games. The first part felt relatively old school, with simple observational puzzles that translated into relatively straightforward interactions with the room. Yes, there was tech, but it was pretty simple. Decoration-wise, it felt like a pretty plain concrete space – in keeping with the story but certainly not jaw-dropping. 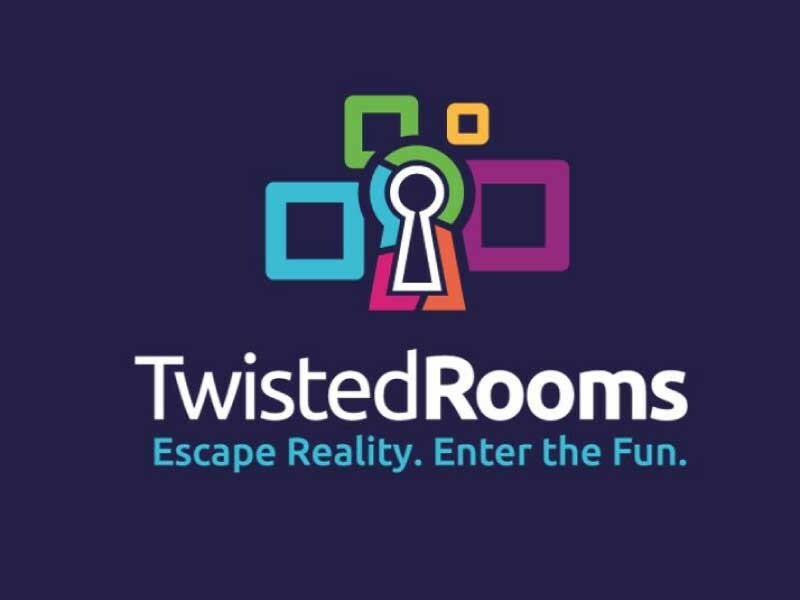 The remainder of the experience very much showed the direction that I think Twisted Rooms are heading in, with a highly polished game that was all about driving players’ excitement and not so concerned with challenging them heavily. Most puzzles were simple, and the two that weren’t didn’t feel mentally taxing – one was skill-based and the other felt more of a logic leap than a mental challenge. The decoration was what it was all about here. A high-tech centrepiece in the space, with plenty of backdrop to immerse you, and even the parts of the space that didn’t do anything looked high quality. That said, I think they delivered what they set out to: an adventure with a high-adrenaline finish that will appeal to the vast majority of players and especially first-timers who’ve just walked in from a Merlin attraction and its associated production values.